Description: A free customizable 14 seats class room plan template is provided to download and print. 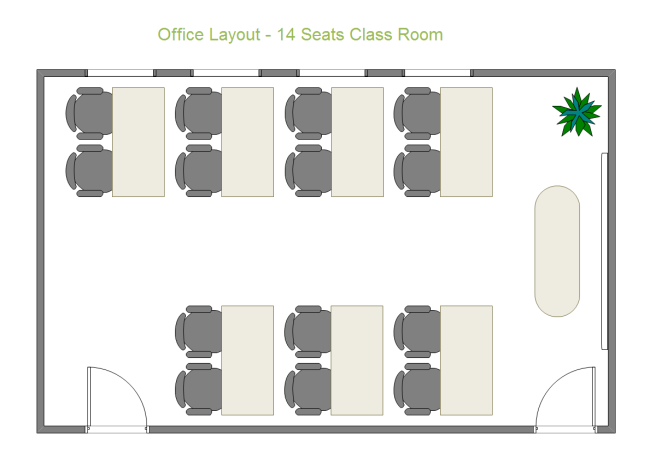 Quickly get a head-start when creating your own 14 seats class room plan. You will be able to conduct outstanding classroom visualization in only a few minutes. Go to seating plan page and have a general knowledge on how to make seating plans..